If you're interested in taking out a loan — for a home, for your education or any expense — it’s a good idea to use a bank loan calculator to figure out your loan payments beforehand. After all, wouldn't it be wise to know what a prospective loan has in store for you before you sign on the dotted line? If you're unfamiliar with loan calculators or have never used one for a loan of your own, there are several bank loan calculators that help you understand what your payments will be like and how much interest you’ll pay over the course of the loan. Examine each kind and determine which one will most likely meet your needs. Which Bank Loan Calculator Is Best? It's difficult to determine which bank loan calculator works best without knowing your specific circumstances. 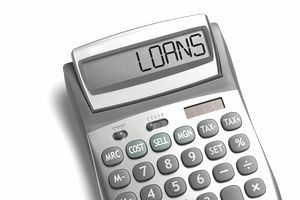 Identify what kind of loan you're interested in (or most likely to get) and then choose from among the bank loan calculators below. Each one is designed for a different purpose. First, there's the loan amortization calculator. This is a basic bank loan calculator for most loans (fixed-rate mortgages, auto loans, etc.) If you're not interested in searching loan calculators based on your specific loan or believe that the loan you have your eye on is pretty general, try the loan amortization calculator on for size. It should give you a general idea of the amount you'll have to pay and the interest over the life of the loan. Next, there's the interest-only mortgage calculator. This loan calculator is exclusively for interest-only loans. With these loans, you pay just the interest on the loan instead of the loan balance, or principal, over a set period of time. It could be anywhere from a couple of years to a couple of decades. Some consumers like these loans because it allows them to start off making smaller payments, with increased payments once the interest-only period ends. If you're just starting out in life and expect to be able to make higher payments as your career or business stabilizes, an interest-only loan might be the right one for you. Finally, there's the annual percentage rate, or APR, calculator. With this calculator, you can determine your APR by adding in closing costs. To use this kind of calculator you need to know what the loan's interest rate is as well as the term of the loan (how long it will last) and the closing costs. With this information collectively, you can pinpoint the APR for your loan. There are many bank loan calculators specific to mortgages. That said, the bank loan calculators described will help you model almost any bank loan. However, you will not be able to run the numbers on complex loans such as Adjustable Rate Mortgages (ARMs). If you need more information on calculating complex loans, talk to your lender or loan officer. This individual should be able to give you an idea of what your loan payments will be like and how much interest you'll likely pay over the course of the loan.